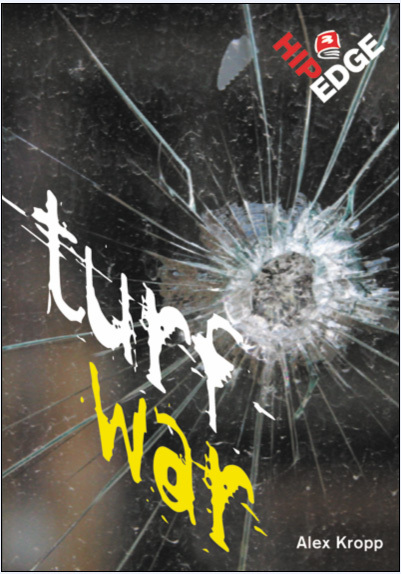 In Turf War, Kasim and his buddies aren’t much of a gang. But then they’re forced to defend their neighborhood against a bunch of racist outsiders. “Both Turf War, dealing with gangs and weapons, and Outrage, dealing with punk anger and robbery, are full of male testosterone, fighting and posturing. On the other hand, no one prostitutes themselves, no one steals cars, no one takes or deals drugs and even the swearing is implied.” – from the Resource Links review. To see a Google Books preview of this book, click here. Turf War Teacher’s Guide available for purchase or free with 6 or more copies of this title.